Proper dental care for pets should detect and prevent dental disease before it can progress and cause pain and more serious health problems for your pet. Greentree Animal Hospital offers the professional dental care and advanced dental care your pet needs to have healthy teeth and gums throughout their lifetime. 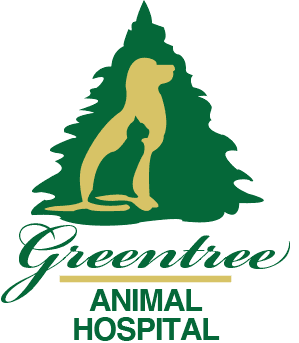 At Greentree Animal Hospital, regular dental examinations and dental cleanings are performed under general anesthesia for dogs and cats. We follow the dental guidelines of the AVMA, AAHA and AAFP. A pre-anesthetic exam of your pet, which may include bloodwork. Safe anesthesia and surgical monitoring of your pet during dental treatment. 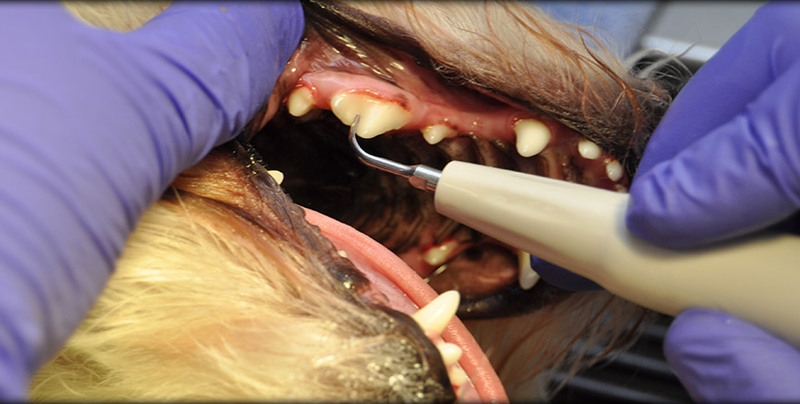 A full examination of your pet’s mouth, gums and teeth while your pet is under anesthesia. Dental digital x-rays, allowing us to visualize your pet’s teeth and bone structure and detect any underlying periodontal disease or abnormalities. A complete dental exam with charting of pathology. Hand and ultrasonic scaling to remove plaque and calculus from your pets teeth. Polishing with a special paste to smooth out your pets tooth enamel.